The Václavská complex is located in the heart of Old Brno, 10 minutes from the Brno Exhibition Centre. 7 Nights Apartments Vaclavska is 46 apartments complex. Apartments and studios have a private entrance from the courtyard and the whole building is monitored by CCTV. We have private parking place (4 Euro/100CZK per night). You can choose from several types of studios and chalets which, thanks to their own bathrooms and a fully equipped kitchenettes, offer maximum privacy and comfort. Wireless internet access is available in all types of accommodation. All apartments have everything for cooking (pots, saucepan, pan, plates, spoons, forks, knives, glasses, cups) and all apartments have minibar. On reception guests can order coffee, tea. We are located near big transport point (note). From there guest can get to any sides of Brno. 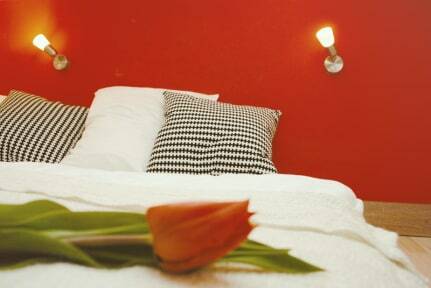 7 Nights Apartments Vaclavska is located near (10min) from Spielberk castle and 15. To Main train station is 5 min by tram. Our reception is open from 8:00 until 11:00 and from 14:00 until 18:00, other working hours according to customer needs.